Welcome to Northern Tank Truck services, INC. Please feel free to browse our services. 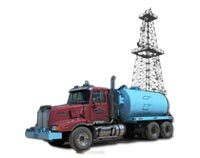 Northern Tank is available to help the oil field industry. From building a road to snow plowing, Northern Tank offers a variety of services. Need a site cleaned or a pond built, these are just two of the residential services that Northern Tank offers. Our inventory of trucks and other equipment will give you some idea of the variety of services that we offer.